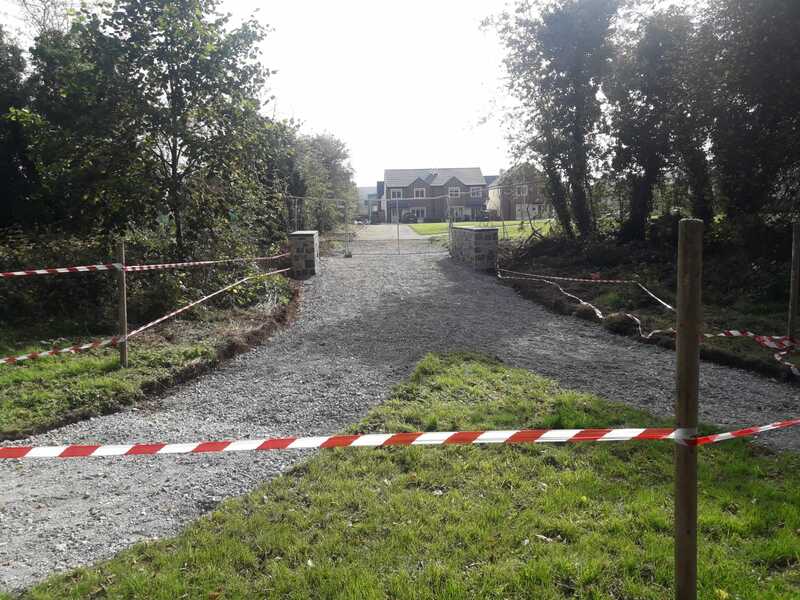 Outrage over a recently constructed pathway that joins Carton Avenue to a new housing development will dominate the forthcoming meeting of local councillors when they meet on Friday. A developer building a housing estate to the south of the 18th century Georgian Avenue has built a small bridge over a ditch between the estate and the avenue, and a pathway leading from the estate, over the bridge out as far as a pathway in the centre of the avenue. This, say angry locals, encroaches onto the Avenue and interferes with the integrity of the feature. And a new organisation ‘Carton Avenue Preservation Society’ described as a group of Maynooth “residents who are concerned and opposed to the ongoing negative developments occurring on Carton Avenue” are organising a public meeting on Carton Avenue on Saturday October 6, at 11.00am beside the newly constructed bridge. The view from Google Earth, which predates the existence of the new housing estate. 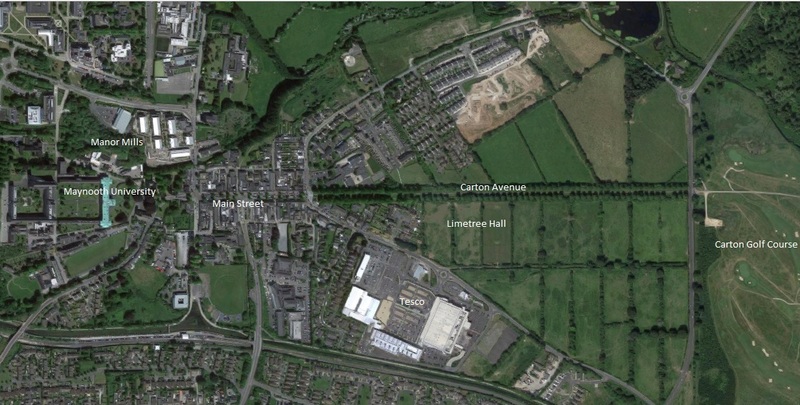 Cllr John McGinley has a motion before the Maynooth Municipal District’s meeting on Friday which claims that the development is “unauthorised and illegal, as it does not comply with the Maynooth Local Area Plan 2013-2019. And he called for the County Council to order the developer to immediately remove the two walkways and reinstate the green area. He has called for a gate to be placed to make sure only pedestrians can use the pathway and that trees which had been removed will be replaced with mature trees. Cllr Theresa Murray called for an investigation to ensure all planning conditions have been adhered to.